Last time it was RT. Now it’s NTV’s turn to have been found in “serious failure of compliance with impartiality rules” by the UK’s broadcasting watchdog, Ofcom. And Ofcom is “minded to consider the breach for statutory sanction,” it says in the bulletin it published on 11 February. This translates into the Russian broadcaster potentially facing a fine, or even, as a last resort, losing its license to broadcast to Russian speaking households in Latvia under a UK license. But what does an outlet like NTV have to say in its defence? The report offers a telling answer to this question. Ofcom has examined the way NTV covered the poison attack on ex-spy Sergey Skripal and his daughter in Salisbury, UK, in a news programme on 2 April 2018. While mounting evidence has pointed towards Russian responsibility, NTV chose to almost exclusively represent the official Russian line in the coverage of the case. 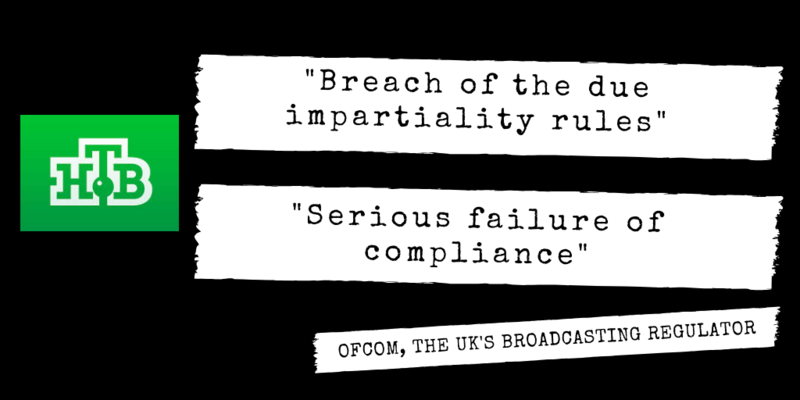 DFRLab’s Ben Nimmo sums up the news about Ofcom’s findings in this Twitter thread. In other words, the practice of presenting only one perspective – namely the point of view of the accused party of a serious crime – is not a case of propaganda or a way of misleading audiences; it is simply a way of making reporting “relevant”, according to NTV. Click to watch NTV’s news programme from 2 April 2018, which Ofcom found in breach of impartiality rules (in Russian). This response by NTV to Ofcom’s criticism offers unique access to the thinking inside the Kremlin-loyal Russian media. While playing on their home ground in Russia, outlets like RT and NTV will never have to answer these kinds of questions. However, outside their comfort zone – in this case in the UK – they must take the criticism seriously and try to respond to it; at least if they want to continue broadcasting with a UK license. 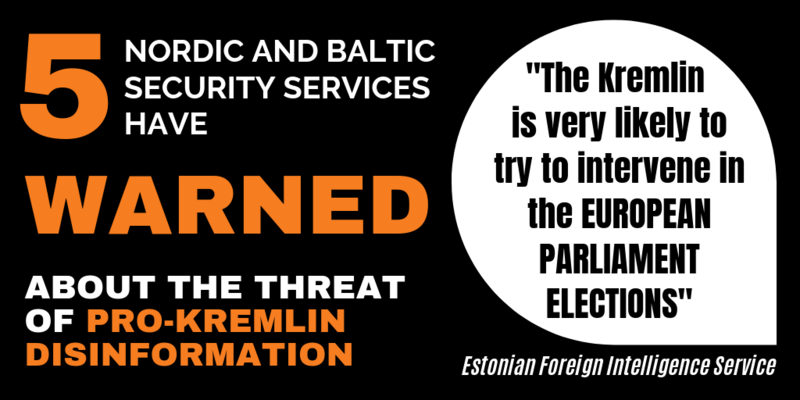 NTV has featured in a number of analytical stories on the EUvsDisinfo website, for example when the channel has been used for attacking Russian human rights defenders and Western diplomats in Russia; when it has been accused of manipulating a report from Denmark and, most recently, when it was exposed for using an actor in what was presented as genuine news reporting. 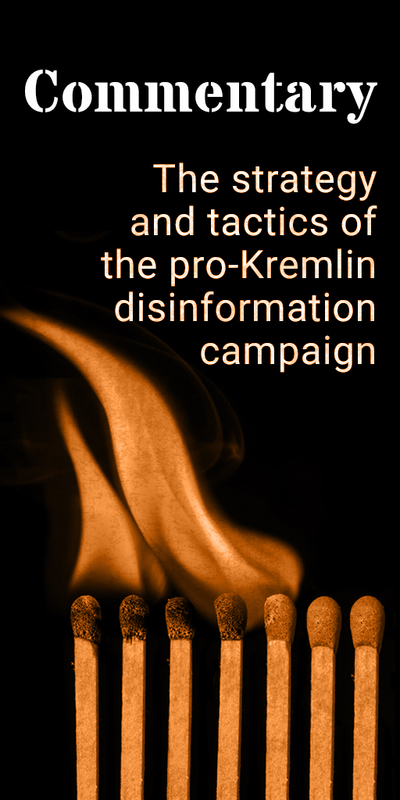 To see examples of disinformation broadcast by NTV appearing in the EUvsDisinfo database of pro-Kremlin disinformation, follow this link. NTV’s owner is Gazprom Media, a subsidiary of Gazprom, which is the state-controlled successor to the former Soviet Ministry of Gas Industry, and today a major supplier of gas to the international market, including the EU. In this way, the Russian authorities control NTV via Gazprom, even if NTV is not formally a state media outlet.